Thats worth a look Geoff. I had hydraulic pipes made up in 2008/9. Could be that they are breaking down after 10 years. We in north America were having trouble when the ultra low Sulphur and Bio diesel 1st came out, with it attacking the old hoses, it seams to dissolve in inner liner of the hose and give you black goo. I don't know if that is what is happening for you, but you might want to change the supply and return hoses. 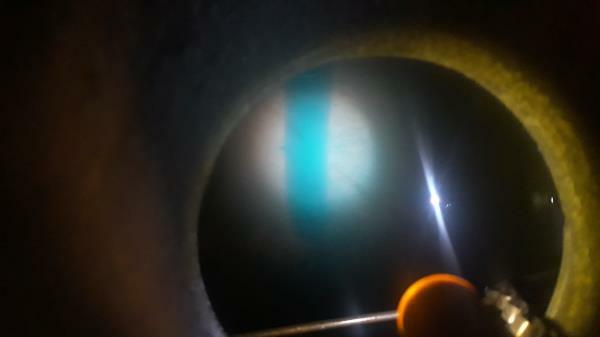 This is quite a poor photo of the bottom of my fuel tank. substance like in the photo. Took the tank and fuel lines off and steam cleaned them off and it was running ok again. After probably 200-300 miles it refused to start 1 Saturday. I took the filter off and cut it open and again and its got this black goo in it.